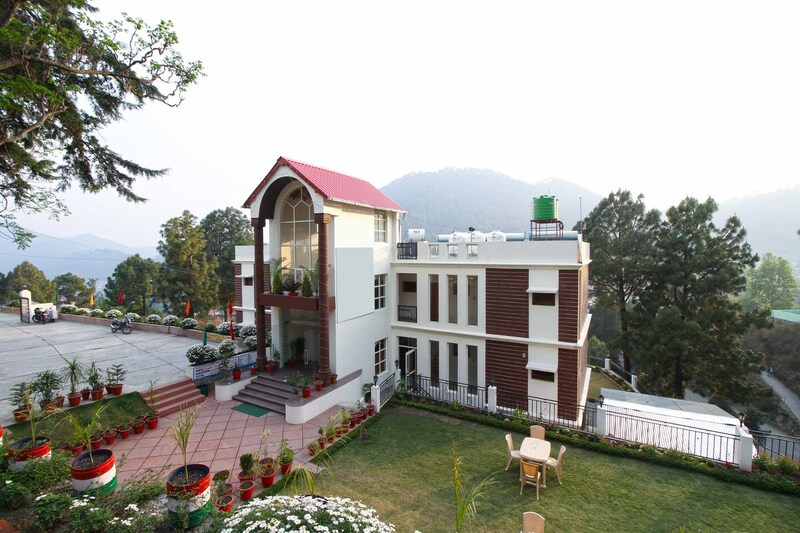 Hotel Apple Inn is located Bhimtal and it provides a rejuvenating stay for its guests. The hotel has a beautiful exterior and interior. The rooms are modest and compact. The light coloured walls create a calm ambience. The rooms provide an amazing view of the mountain ranges and the greenery. The curtains add colour to the room and makes it look lively. The washrooms have geyser to make the guests feel comfortable. The hotel has an in-house restaurant, the guests can have easy access to delicious food without having to go anywhere else. The hotel also has a seating and dining area.